HyPERFORMANCE Style Ladies Breeches are made from Agate Cool Fabric containing 30% Polyamide, 63% Cotton, 7% Lycra with stretch leather seat, very flattering and gives practical grip feature, whilst retaining strength and a comfortable fit. Fashionably designed with contrast thread stitching. Velcro closures at the ankles, discreet front pocket, full zip fly, belt loops in contrast leather and reinforced stitching and finishing. Machine washable at 40°C. Leg length: Regular. The one to be seen in this season! 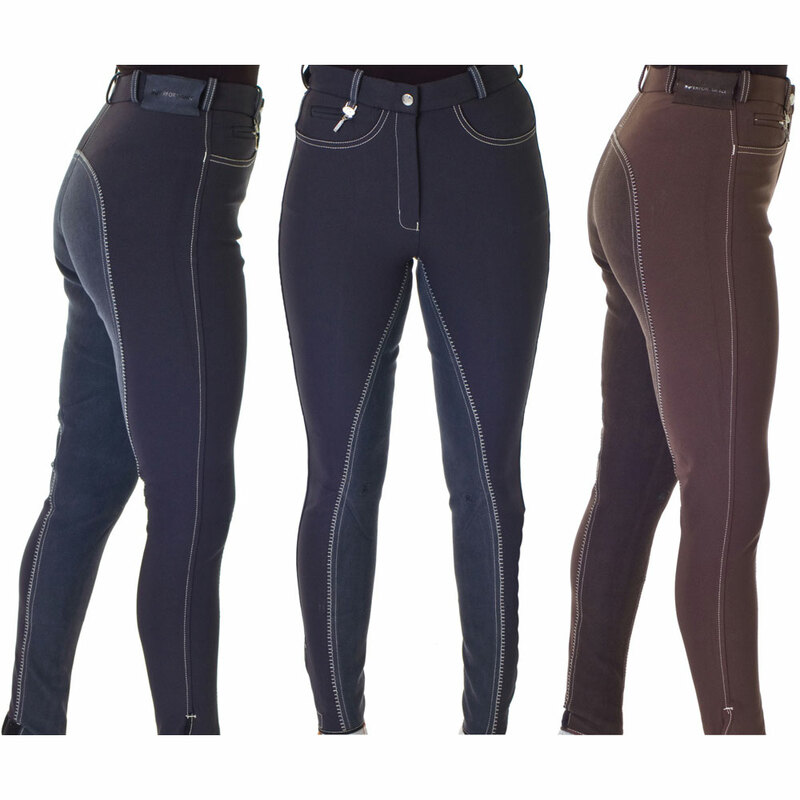 There are currently no questions for HyPERFORMANCE Style Ladies Breeches - be the first to ask one!